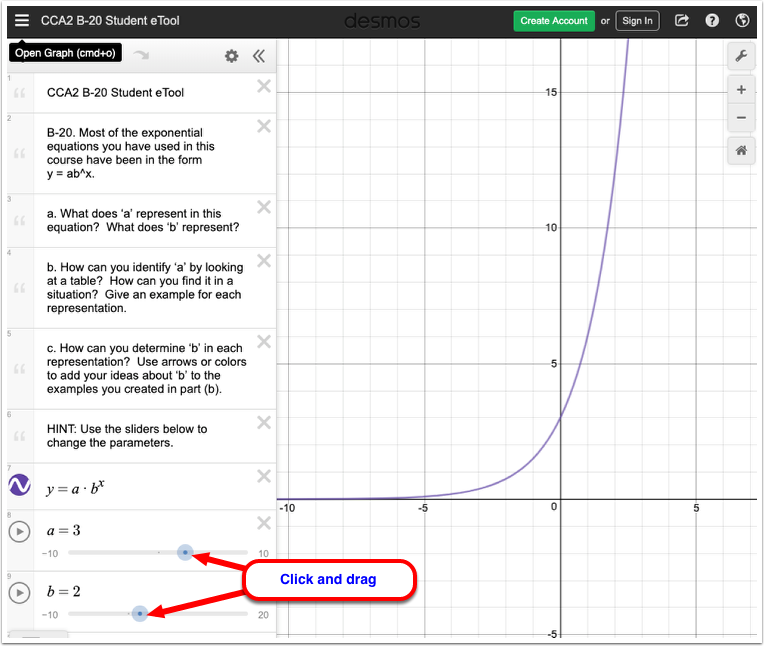 Use this eTool to explore multiple representations of exponential functions. 1. Click on the BLUE points (sliders) on lines 8 and 9 and drag horizontally to change the parameters.